Batteries are now "part of the clean-tech boom, with all the dewy and righteous credibility of thin-film solar and offshore windmills," Seth Fletcher asserts in Bottled Lightning: Superbatteries, Electric Cars, and the New Lithium Economy. Righteous? Surely. Credible? Maybe. As Fletcher tells it, the history of batteries over the past hundred years is essentially a series of failed efforts to power automobiles. For a century, we have been trying, with a mix of countless metals and chemicals, to achieve the perfect recipe for converting stored chemical energy into electrical energy. In his book, Fletcher begins with Thomas Edison, who launched a car-powering battery in 1903 "with a level of hype and overpromising that would do today's most egregious vaporware vendors proud." Electric cars in Edison's day cost up to $5,000—about $130,000 in today's dollars. Gasoline engines simply packed a lot more driving bang for less buck, and electric cars died out. Fast-forward to the 1970s, when the Arab oil embargo revived interest in electric cars. Congress even tried to spur development by passing—over President Ford's veto—the Electric and Hybrid Vehicle Research, Development and Demonstration Act in 1976. It's startling to be reminded that, in the 1970s, Exxon commercialized the first rechargeable lithium-ion batteries to power electric cars. But then oil prices collapsed, major petroleum reserves were discovered and Exxon sold off its battery division. The next electric-car misfire was GM's EV1, developed in the 1990s in response to California's stringent air-pollution regulations. The EV1, powered by massive lead-acid and nickel-hydride batteries, could go as far as 140 miles on a charge. GM built 800 of the cars, leasing them for $349 a month. But the batteries simply did not store enough energy, and cost $40,000 to $50,000. GM lost a billion dollars before canceling the program. The company was excoriated for its decision in the documentary Who Killed the Electric Car?, but the answer is an easy one: the batteries did it. As the EV1 was being junked, Toyota launched its Prius hybrid in the United States in 2000, a car with a gasoline engine assisted by a nickel-metal-hydride battery. (As of 2011, Toyota has sold more than a million Priuses in this country.) In 2003, Silicon Valley mogul Martin Eberhard founded Tesla Motors to build an all-electric car powered by lithium-ion batteries, a technology developed heavily by Sony in the 1980s to meet demand for personal electronics. By 2006, the first Tesla was on the road—without incident. 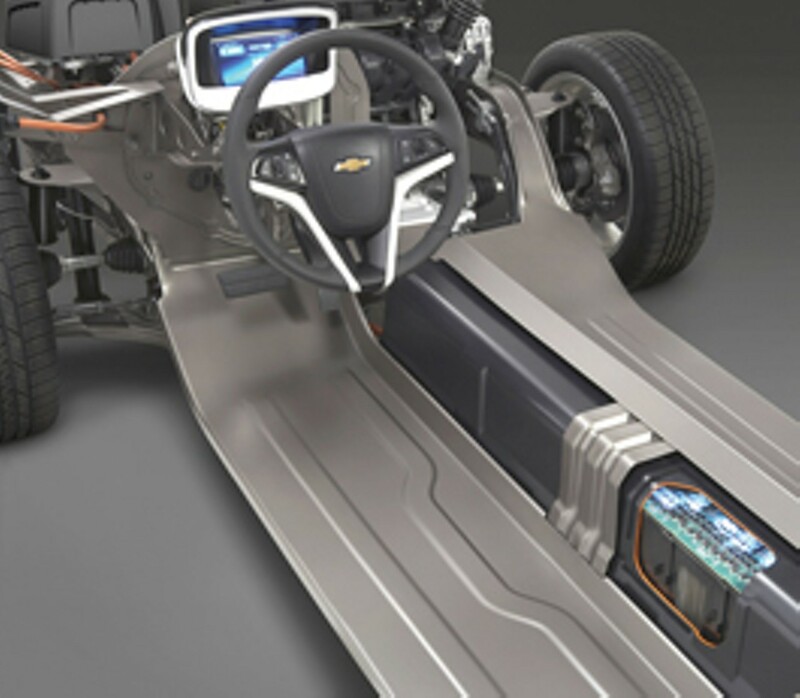 Once lithium-ion batteries had been proven in automobiles, GM launched its own concept car, the Volt. American drivers suffer from range anxiety, the fear that electric cars will run out of juice and leave them stranded. The Volt was designed to address that concern. The Volt's all-electric range is about 40 miles, though it can go up to 400 miles using its gasoline engine. President Obama has set a goal of having a million plug-in hybrids like the Volt on American roads by 2015, and is offering hefty tax credits to buyers. Even more generously, the 2009 stimulus package included $2.4 billion in government subsidies to start-up battery companies. But we've been here before. Almost every president since Richard Nixon, who launched a program to produce, as he declared, "an unconventionally powered, virtually pollution-free automobile within five years," has tried and failed to spur the development of an alternative-energy car. Will Obama's push work any better? Furthermore, will the United States be able to compete with Asian battery giants like Panasonic in Japan, BYD in China and LG Chem in South Korea? Even GM's Volt is powered with batteries built by an LG Chem subsidiary. Some worry that we're going to replace our dependence on foreign oil with a dependence on foreign batteries—and foreign lithium. Bottled Lightning alleviates at least one worry: by taking us to the salt flats of the "lithium triangle" in Chile, Bolivia and Argentina, Fletcher shows us the abundance of the metal and puts to rest any fears of "peak lithium." But at $41,000 per car, the Volt may not interest most drivers. Even with the price of gasoline hovering at $4 a gallon, GM has sold only about 2,000 Volts. The fate of its gamble depends on the price of oil, yes, but it's also dependent on improvements in battery chemistry.